AirParrot allows you to wirelessly beam your screen or media files to a variety of media receivers. AirParrot quickly discovers available receivers on your network, and uses Quick Connect? to connect directly to a device running Reflector?. Easily share your screen, videos, audio, presentations and so much more. AirParrot adds high-quality screen mirroring to your favorite Windows devices. Wirelessly send screens to receivers like Apple TV, Chromecast and Reflector. Loaded with innovative features, AirParrot is new and improved and sure to produce a superior mirroring experience. Just select any media file in AirParrot to begin watching on your TV-even control playback from your remote control. Streaming media is quick and results in no audio or video quality loss. Beam media in 5.1 surround sound for a theatre experience, at home. 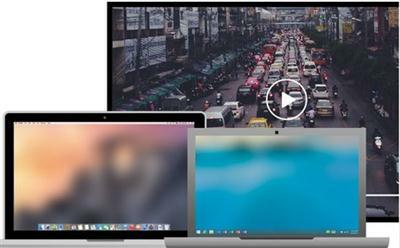 AirParrot effortlessly handles the headaches of different video formats so your videos always play right where you want them, regardless of receiver compatibility. Bütün Zaman Ayarları WEZ +3 olarak düzenlenmiştir. Şu Anki Saat: 09:31 PM .